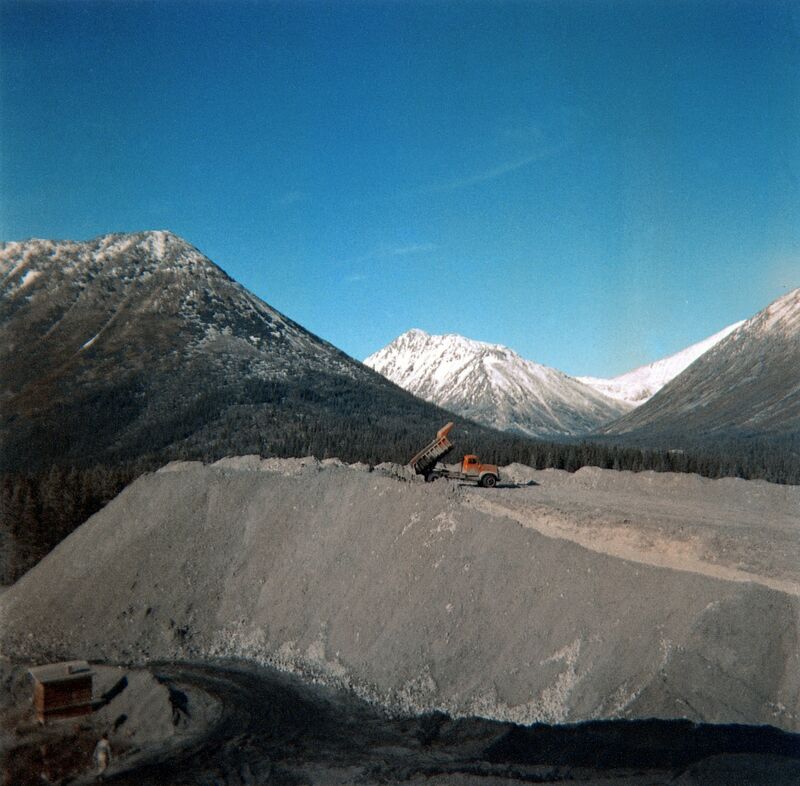 Photograph depicts red truck dumping waste at what is believed to be the tailings pile at the Cassiar plant. Small building and unidentified individual in bottom left foreground, valley and mountains in background. Photo caption next to printed copy of image in 1953 Annual Report: "Stockpile of 80,000 tons of Ore at Mill." Item is part of the Cassiar Asbestos Corporation Ltd. fonds. Image is one of three photographs which were printed in the 1953 Cassiar Asbestos Corporation Ltd. Annual Report (original accession no. 2000.1.0228.015), see also items 2000.1.1.3.15.1 & 2000.1.1.3.18.2. These three photos have been reprinted as negatives are in fragile condition.